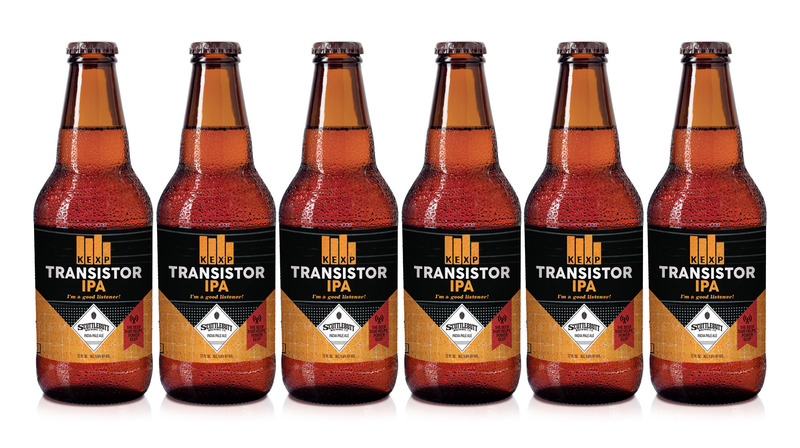 Transistor IPA is a beer created and brewed by Washington’s Scuttlebutt Brewing Company exclusively for Seattle’s KEXP radio station. KEXP is undergoing a large construction project of their new home at Seattle Center. 100% of net proceeds will be donated to the cause. 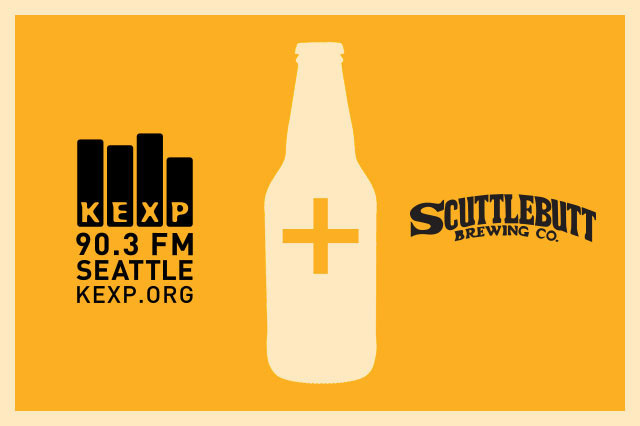 Scuttlebutt and KEXP are both local businesses, working independently of the ever increasing corporate/conglomerate structure dominating their respective industries. Each valuing quality over shear volume, championing authenticity, local and community, relevant to the business world that both Scuttlebutt and KEXP individually participate in. 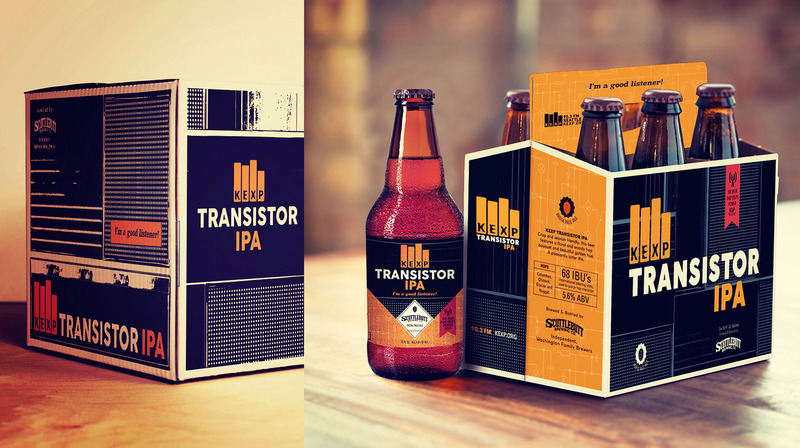 The label, packaging, and promotion for Transistor IPA were designed by Dave Narcizo, co-founder of Lakuna Design and drummer for Throwing Muses. Narcizo joined Throwing Muses in 1983 and has been an active voice on the rock music scene ever since. The Station felt it appropriate to partner with a musician on the project. The project duration was only 6 weeks so a quick but thorough audit was conducted—by Lakuna Design—of KEXP’s visual brand history and its audience. 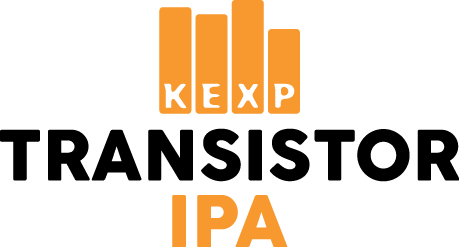 The packaging leans on KEXP brand colors and an overall aesthetic prevalent among the Station’s broad inventory of visual messaging. Special attention was paid to including a highly visible identity placement in order to capture the attention of KEXP devotees.